I’m totally obsessed with podcasts. In fact…..I AM A PODCAST HUNGRY FIEND. There, I’ve said it. Ever since my brother suggested I listen to a podcast about health and fitness around 2 years ago my addiction has snowballed. There’s no other word for it and just so you have an idea of what that means, I currently have 45 different podcasts in my subscription list and 93 episodes downloaded to my phone that I want to listen to. I have some that I’m a die hard fan of, I listen to EVERY episode regardless of what it is and I just queue them up and listen as I can. Others I dip in and out of and join in for random episodes when the guest/topic/title takes my fancy. I wish I could listen to more to be honest but there just isn’t enough time! Clearly I can’t listen to all of these podcasts all of the time and they aren’t all on the same topics. I thought I would share some of my favourite podcasts now that everyone else seems to be so into it too, I’ve found some really great ones whether you’re into health and fitness, food and cooking, women’s topics, crime and drama, general chitchat, and make-up podcasts. I’ve even found some good business, tech and medical ones though some of those are pretty specific and in depth. I’ve separated them out loosely and I would love to hear if you have any suggestions for any that I’m missing and should try out! 1) Mind Pump Media – this is my original podcast and the ‘one that started them all’. I love health and fitness and I probably don’t share that much on this blog because it’s more about beauty/travel/life in South Wales but it’s a huge passion and interest of mine. I spend a lot of time listening, reading and researching even though it never feels enough! Mind Pump was created by 4 guys, 3 are the main hosts and 1 is the producer. It’s a health, fitness and wellness podcast covering pretty much anything you can think of to do with this topic with a large side of humour and reality. There’s absolutely no BS when it comes to these guys, if they’re talking about gut health you will know everything about their poo by the end of the episode! If you’re looking for a podcast that’s going to teach you about the body, how to fuel it, how to make and plan workouts, check your form and so many other hacks with regular interesting guests this is probably where you should start. I’ve also found SO MANY other podcasts to listen to from these guys, their guests have been so varied and interesting. However I always listen to their’s as a priority. As a female I wasn’t sure if I’d like the ‘bro-science’ element but they seem genuinely nice guys, always talking about their partners and their information is good. I wholly recommend! 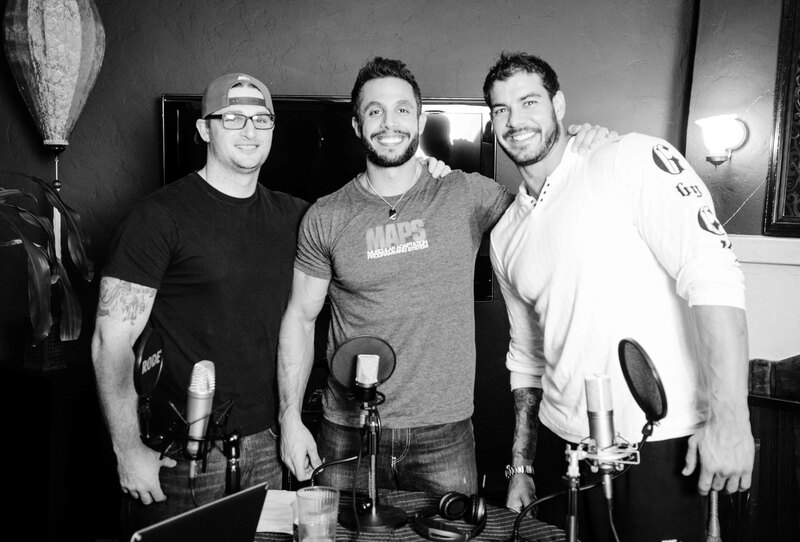 2) Fit and Fearless Podcast – if you haven’t heard of this one where have you been! This podcast is by the Girl Gains – Zanna, Tally and Vic and they’re all pretty well known on the usual social media channels. I found Zanna on Instagram a while ago and instantly loved her, not only does she seem a genuinely nice person but she was so positive and her food and workout tips really helped me. Plus it’s nice to find a fellow tall gal, there was a time when it felt like everyone was petite! After this I started following Tally and Vic too as well as their Girl Gains accounts and now they have a podcast with BBC Radio 5 Live. These are so fun and easy to listen to, they feel like sitting down with some friends and having a chat. They’ve had some great guests – many are other similar bloggers/influencers like Shona Vertue, Rhiannon Lambert and Carly Rowena, but also some newer faces such as the Gynae Geek and celebs like Fleur East. They cover everything from food, workouts, Crossfit, gynae issues, wellness, mental health and confidence so it’s a great mix. My only complaint so far is that there isn’t enough! I’d love these to be more regular like once a week, they currently have 21 episodes but are on a break until later in the year. I just feel there’s a bit of a gap to fill in the podcast market and they’ve been doing it well. I will miss it until the next one comes out! Not only is she fairly recently qualified as a Doctor, she’s also a bestselling author with her two books (I obviously have them both and her ebook…more by clicking here), a qualified personal trainer, and is currently back at uni studying a further Masters in nutrition. 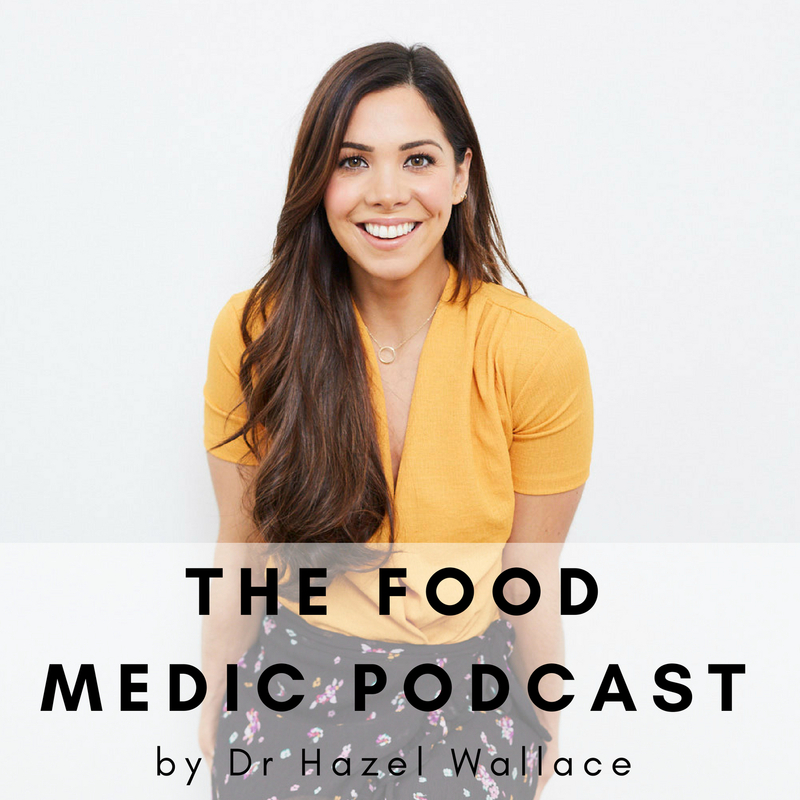 The Food Medic PodcastShe now also has a podcast that I’ve really enjoyed listening to. Again it covers food for fitness, using exercise as medicine, skin health, gut health, gynae health amongst many others. They’re full of information and although they can be in depth I don’t ever find them confusing as everything is explained well. I think again my only complaint would be that there isn’t enough (I’m addicted to learning more!). Plus Hazel has the most fabulous Irish accent and we all know that everything sounds better with an Irish accent right?? 4) The Genius Life – this podcast is presented by Max Lugavere, a film maker, health and science journalist and author of Genius Foods. I found him through Mind Pump Media from their few episodes together and social media. I love following Max’s instagram account for the many food swaps and comparison posts, they’re so interesting! Max noticed his mother’s cognitive health begin to decline a few years ago and decided to try and do whatever it took to help her. Through his research he found certain foods we’re causing it to get worse but others helped to stop and some even helped to reverse it. His book ‘Genius Foods’ is on my list after my brother has finished reading it but for now I’ve been listening to his podcasts. The quality can be a bit sketchy as some of them are recorded over the phone but I’ve had no issues hearing conversations between Max and his guests. He’s covered a variety of topics such as eating meat, eating to help anxiety and depression, nutrients for skin and brain, fasting, immune system and dementia/Alzheimer’s disease. 5) Girls Gone WOD – Girls Gone WOD is another podcast I listen to that came from Mind Pump and they’re bsed in Colorado. It’s presented by two women, Claire and Joy who are funny, real and so relatable. I’ve never been to Crossfit and don’t plan on going at the moment (I simply can’t afford the cost for the limited class times that are in my area) but I do enjoy listening about it especially around the time of the Crossfit Games. The do a Guide to the Games, a Recap at the end and general chats about the Crossfit world. I’ll admit I don’t listen to every episode of theirs because I can’t keep up but I keep up with what I can. They talk about literally everything so it isn’t Crossfit specific just has a focus for that in terms of workouts. They talk children, travel, drinking, psychics and everything else! It’s fun and chatty and you’ll immediately like them for it.